Nvidia President and CEO Jen-Hsun Huang has finally confirmed to Forbes that tablets running the next generation quad-core Tegra 3 processor will be made available sometime later this year. “We’re the only people seriously on the dance floor with Qualcomm,” said Huang. He sees the Snapdragon family of SoCs as Nvidia’s biggest competitor and believes that releasing a quad-core mobile CPU ahead of schedule can give the GPU maker a leg up in the budding tablet market. Quad-core offerings from Qualcomm and Texas Instruments aren’t expected to debut in tablets until early 2012. Codenamed “Kal-El”, the Tegra 3 APU will succeed the dual-core Tegra 2 processor, which has found success in numerous Android tablets and high-end smartphones. In fact, according to Huang, Nvidia processors are currently found in 70 percent of Android tablets and 50 percent of high-end Android smartphones. By 2015, he expects Nvidia to be able to pump out 1 billion mobile processors a year in order to generate the $20 billion revenue from mobile sales. 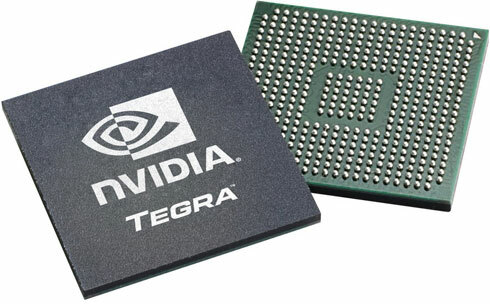 Unfortunately for phones, the Tegra 3 platform will likely only be available for tablets, at least until early 2012. The new Nvidia chip has been rumored for release before the end of 2011 with mass production beginning as early as Fall. The power of the processor was demoed at Computex 2011 through a colorful “Glowball” real-time video. It will definitely be interesting to see what tablets will feature the Tegra 3 processor and how the quad-core chip will stack up against its future competition.